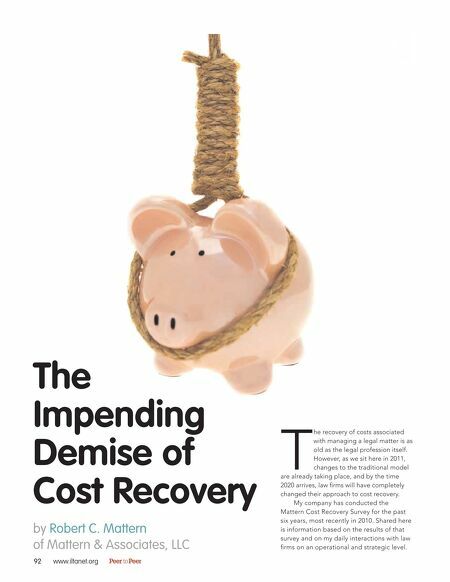 The Impending Demise of Cost Recovery by Robert C. Mattern of Mattern & Associates, LLC 92 www.iltanet.org Peer to Peer T he recovery of costs associated with managing a legal matter is as old as the legal profession itself. 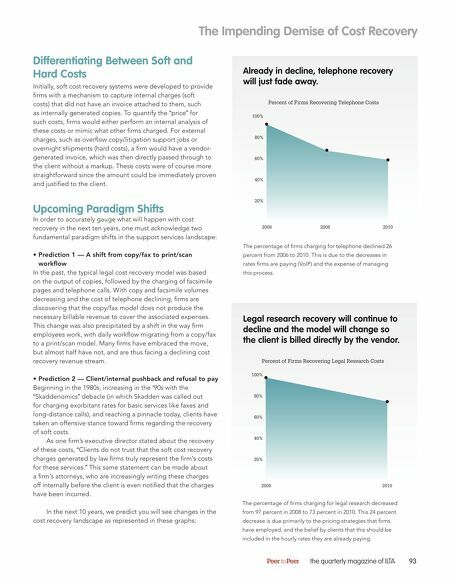 However, as we sit here in 2011, changes to the traditional model are already taking place, and by the time 2020 arrives, law firms will have completely changed their approach to cost recovery. My company has conducted the Mattern Cost Recovery Survey for the past six years, most recently in 2010. Shared here is information based on the results of that survey and on my daily interactions with law firms on an operational and strategic level.